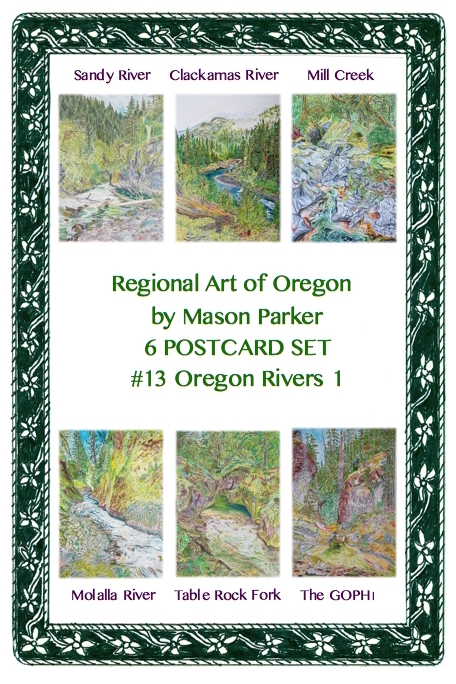 These come in the Oregon themed sets of six per package. 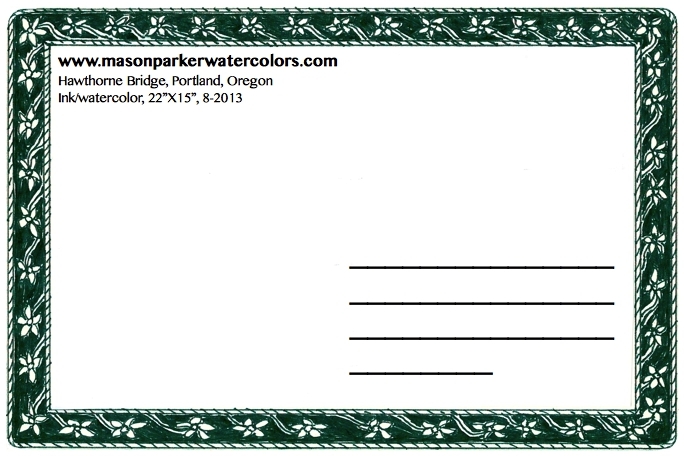 $12 per set, standard 4”X6” size. 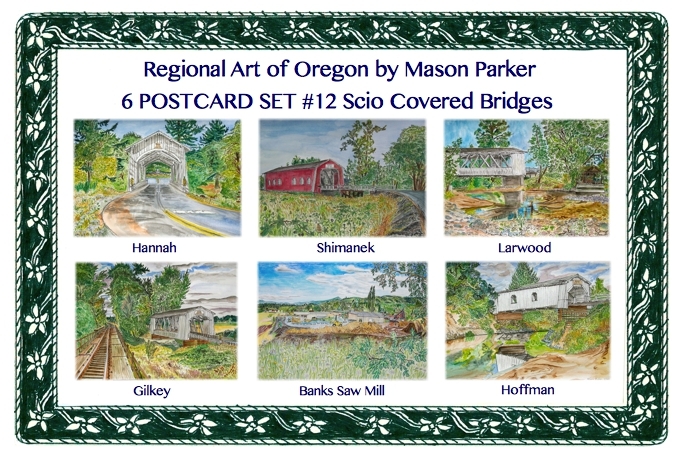 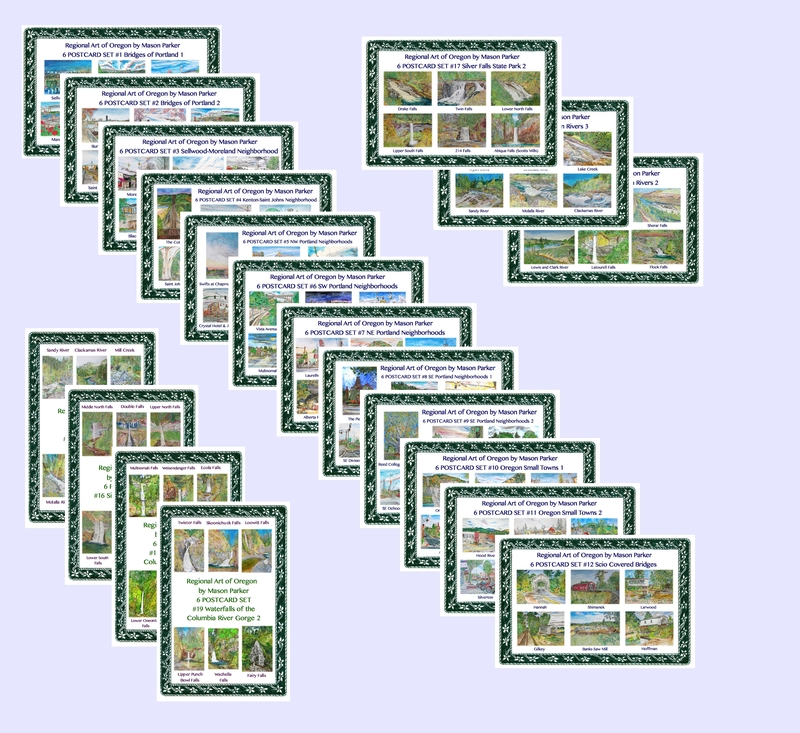 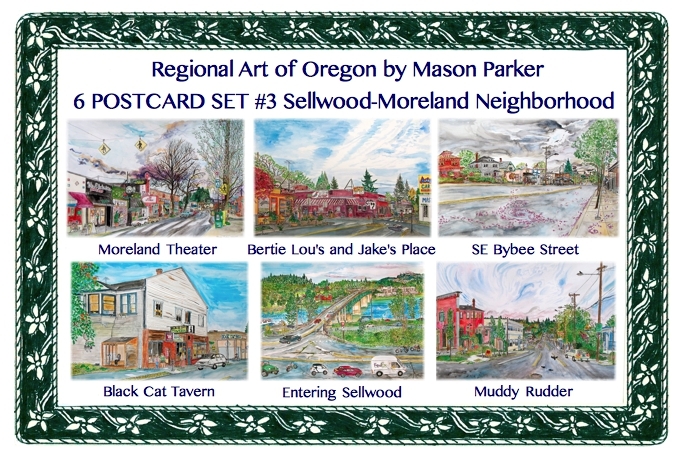 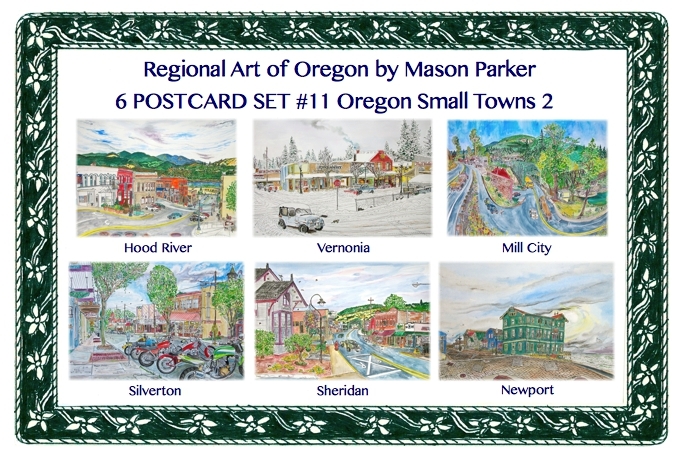 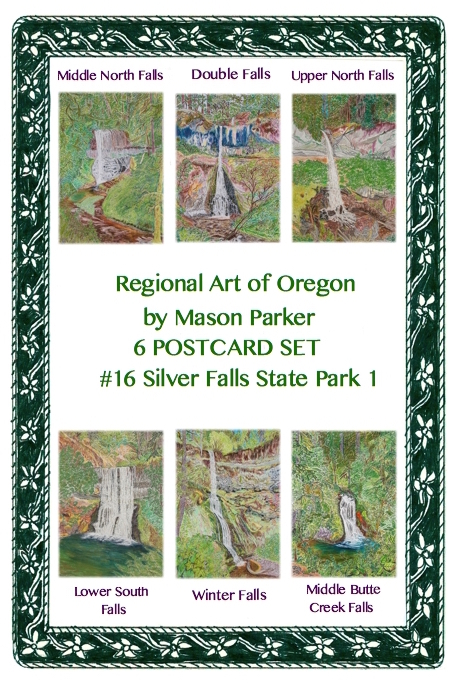 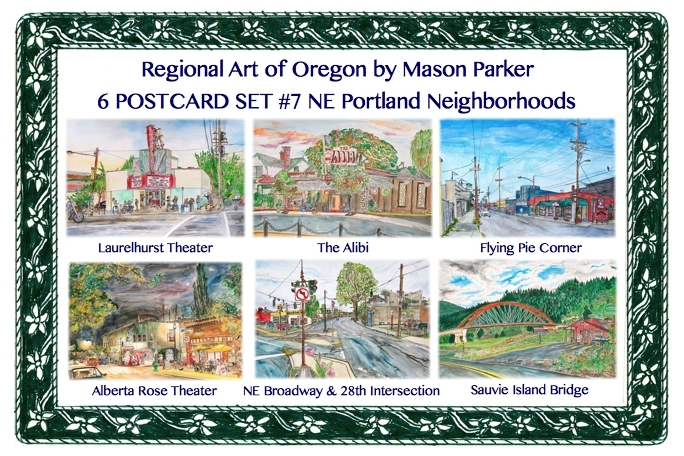 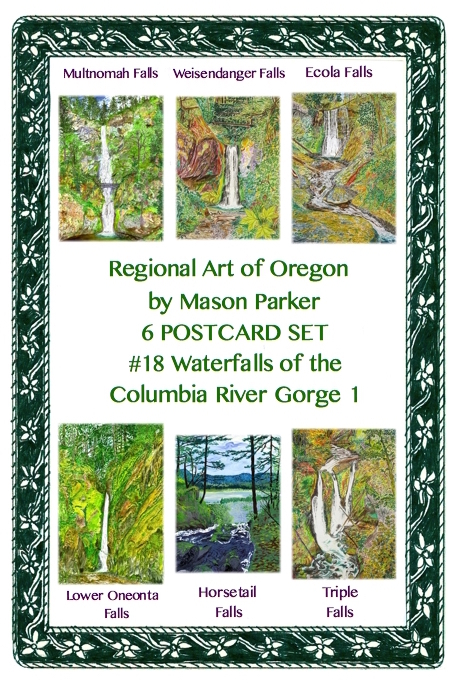 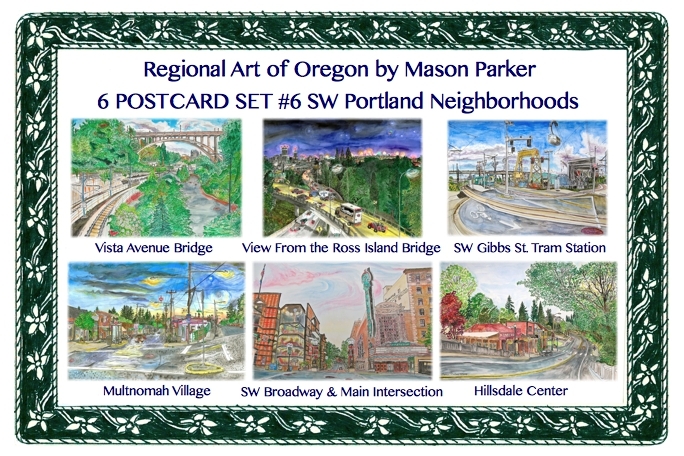 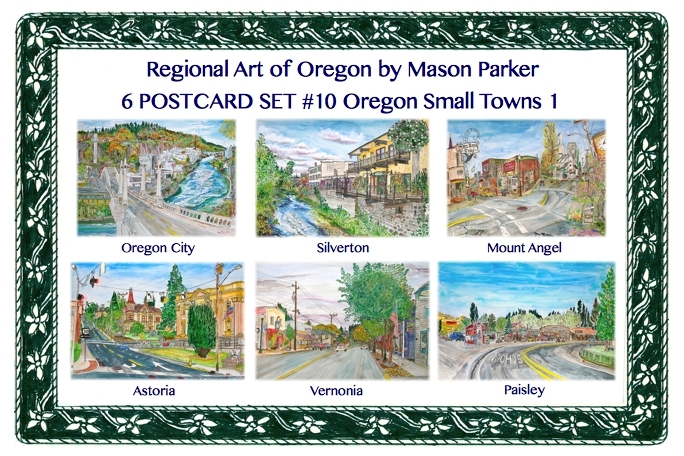 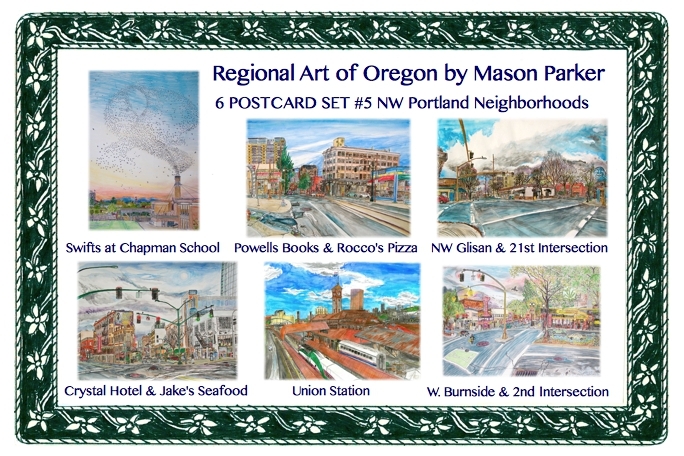 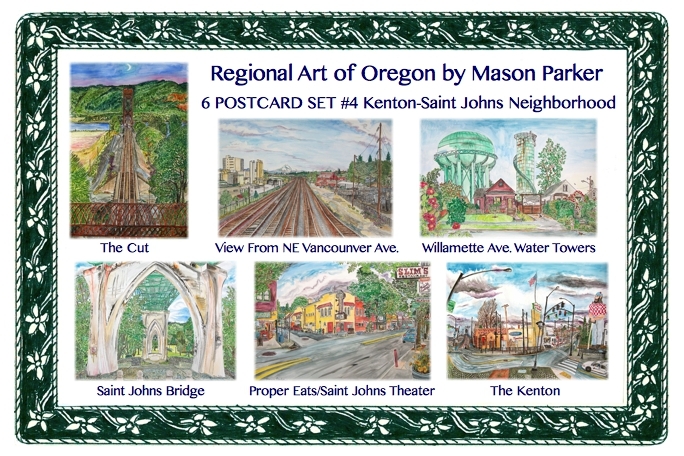 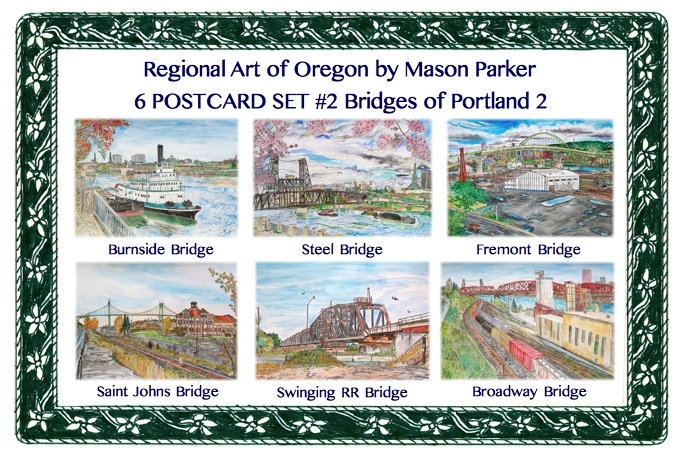 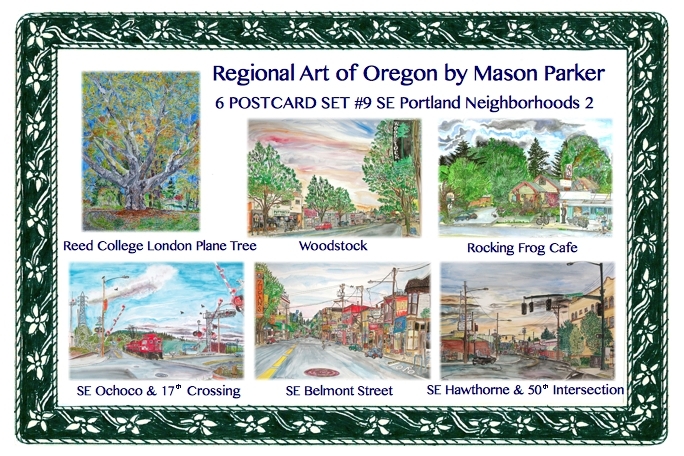 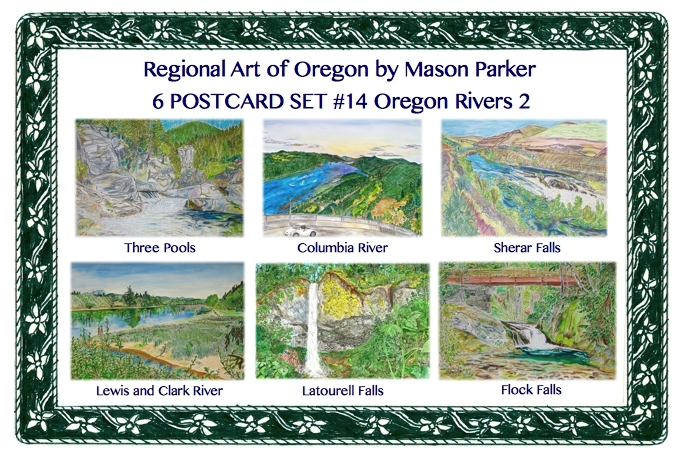 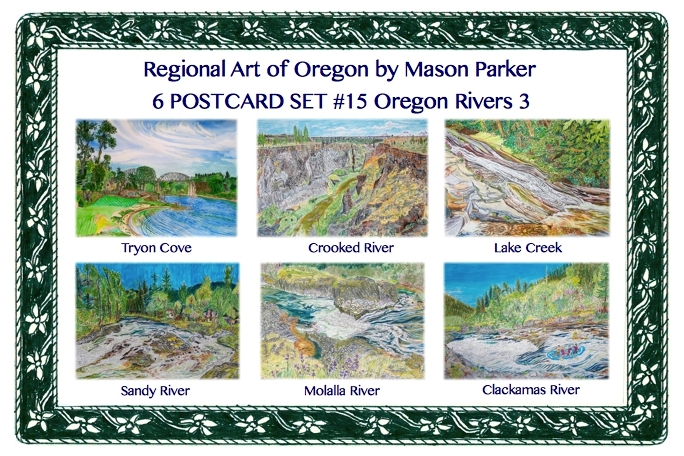 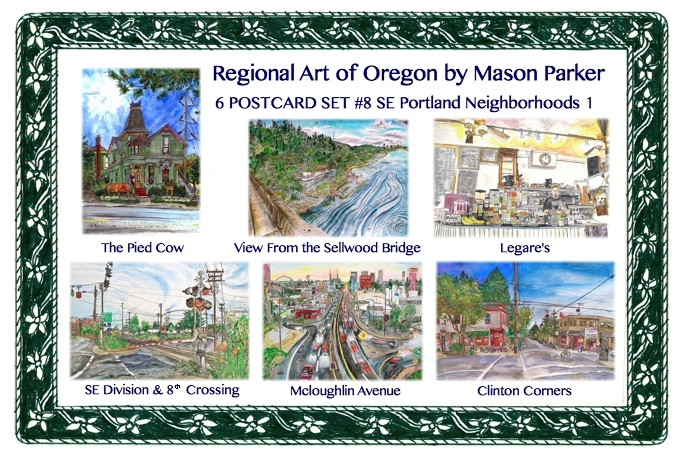 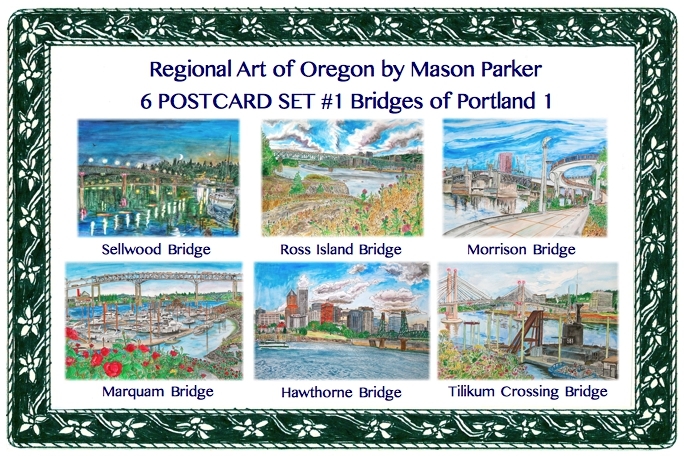 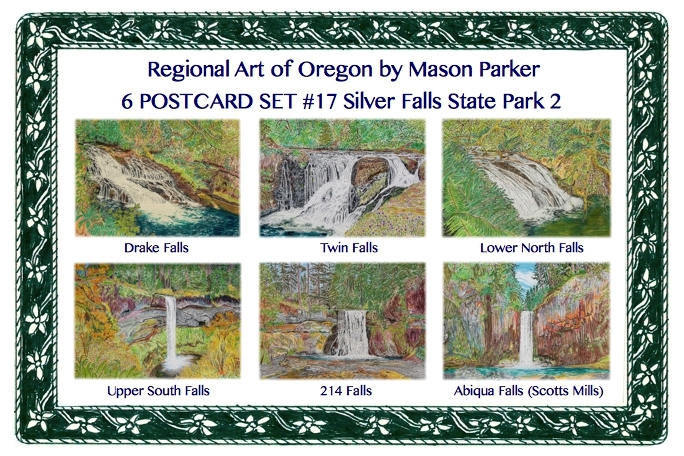 Indexes are below, look on the “Oregon Paintings” page to see larger images.